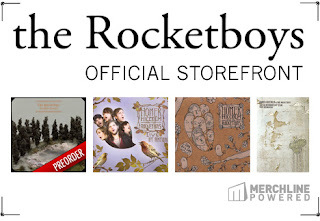 The Rocketboys just set up an online store. It's the only place to pre-order our new record 20,000 Ghosts (official release date is 9-29-09). You can also get our other releases there. And t-shirts are coming soon. Hey, what's wrong with a little shameless self-promotion? eh? Isn't that really why I started this blog anyway? Or was it?